Read more about Paris and Montpellier. Montpellier is in the Hérault department and is the capital of Languedoc-Roussillon, now part of the new Occitanie region. It's an exciting, historic city and important for its university, founded in the 13th century. There's a lovely old town to wander around, with old streets full of cafés, bars and restaurants. There are museums, including the famous Musée Fabre which has an enormous collection and is known mainly for its 17th to 19th century European paintings. 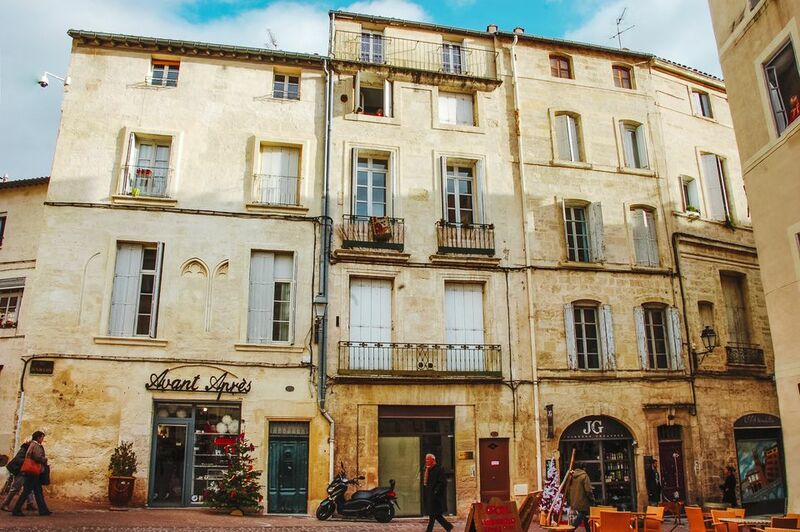 Montpellier is also a central point for visits to the surrounding villages and countryside. The TGV trains to Montpellier Saint Roch train station leave from Paris Gare de Lyon (20 boulevard Diderot, Paris 12) all through the day. Paris to Montpellier train station in 3hrs 21 mins. Lille (which connects with Eurostar) to Montpellier train station in 4 hrs 56 mins. Charles de Gaulle Airport to Montpellier train station in 4 hrs 02 mins. Popular direct connections include Avignon, east directly along the Cote d’Azur to Nice, Lyon, Dijon, Metz, Toulouse, and Strasbourg. Montpellier has good high-speed links (non TGV) with major French cities. See the major TER services on the TER website. Montpellier Saint Roch train station is on rue Maguelone near the central Place de la Comedie. Montpellier-Mediterranee Airport is 8 km (5 miles) southbeast of the city. Shuttle buses run regularly from the Airport to central Montpellier taking 15 minutes. The distance from Paris to Montpellier is around 750 kms (466 miles), and the journey takes around seven hours depending on your speed. There are tolls on the Autoroutes. If you're driving, read Advice on Roads and Driving in France. The French company OUIBus also operates between London and Lille and London and Paris. OUIBus also goes from Lille to Amsterdam and Brussels. For hotels in Montpellier, read guest reviews, compare prices and book on TripAdvisor. Montpellier is ideally placed on the south of France coast. Lying between Avignon and Arles in the Camargue and Beziers and Perpignan to the south, it make a perfect jumping off spot for sightseeing in this popular area. You can take in the beaches that run down the Mediterranean coast, including the most famous naturist site in Europe at Cap d'Agde. Drive into the hinterland for cities like Carcassone in the romantic and tragic Cathar country. Or go down to the Spanish border where the culture is very different.